You may remember that we’ve already talked about the Season 4 Returns of Vikings (which’ll start November 30, 2016) because Lagertha will probably have a more than friendly relationship with a new female character named Astrid. Well, the official Facebook of History shared an interesting video around their future couple this week. The clip is called: Fierce and fearless, Lagertha is a force to be reckoned with. The clip shows Lagertha training with her protégé while Katheryn Winnick explains us how her character will evolve and what type of choice she’s about to make. “She finds a new love which is Astrid and I think her relationship [will be] very different. 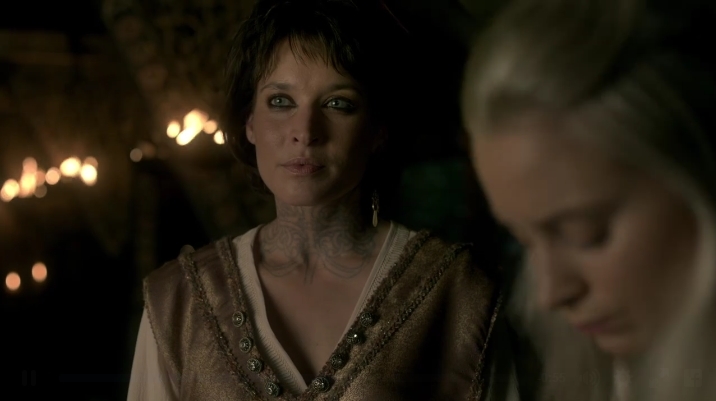 Not sure if she’ll even trust a man ever again so that’s why finding a female lover is interesting for her” Katheryn statements are supported by Michael Hirst in person who says that Lagertha “really can’t compromise and if she wants to stamp her own personality and authority on things, she has to risks the consequences by taking decisive actions”. 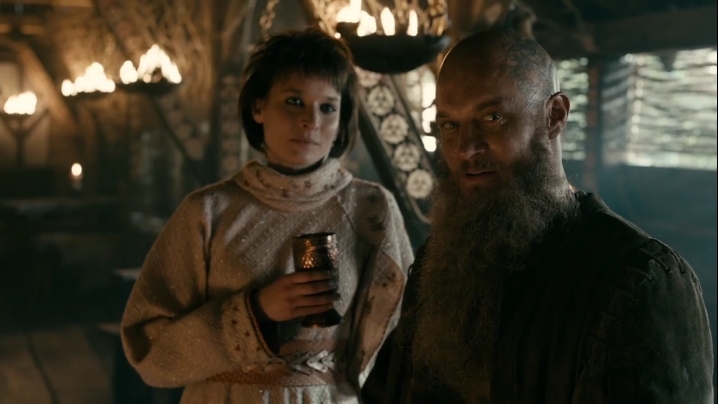 I have enjoyed the Vikings series and knowing what I know about Viking history realize the poetic license needed to make this show more interesting. But to change Legertha to a lesbian is just dumb. There are no instances or historical precedents for doing this and again, we all must accept that PC rules over consistency and common sense.